Hillary Clinton lost the 2016 presidential election in part because she wrote off large swaths of the country. She called Donald Trump supporters "deplorable." Now, her daughter Chelsea Clinton is using similar language to describe the commander-in-chief. 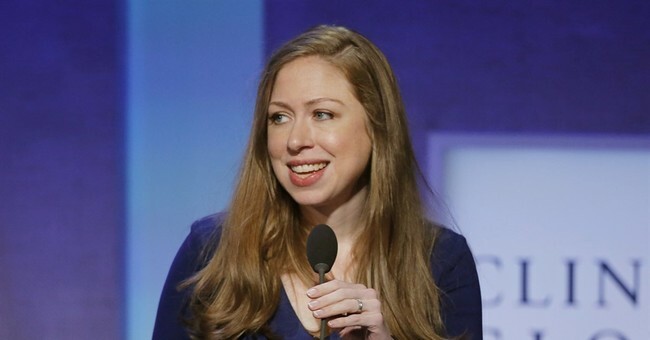 In an interview with The Guardian at the Clinton Foundation office in Manhattan, Chelsea sounded off on some of Trump's specific policies and "racist" rhetoric. The fawning Guardian writer, who noted Chelsea's "impressive fluency in British current affairs," then asked Chelsea for advice on how Brits should respond to Trump's visit in July. "If I lived in Britain I would show up to protest, because I don’t agree with what he’s doing to degrade what it means to be an American,” Clinton suggested. Prime Minister Theresa May invited Trump to visit the UK on July 13. He is expected to meet Queen Elizabeth II during the trip. Last year, when Trump's potential state visit was first mentioned, members of Parliament decried that he was not welcome. Some even called him "fascist" for retweeting a message from a controversial British "far right" group. The White House defended the tweet, which depicted Muslims committing acts of violence, because it was a threat that "needs to be addressed." With just a month and a half before Trump's British arrival, some are now planning on greeting Trump with some unique protest hands.